While there will certainly were impact players drafted yesterday by MLS clubs, it's far more likely that veterans with new teams like Troy Perkins (back to DC United), Clint Mathis (back to the LA Galaxy), and Chris Albright (to NY) are far more likely to make a big impact on their new clubs in 2010. And while Philadelphia's draft haul is getting rave reviews, but I think a team like Kansas City might end up with the better haul. Call me too much of a Moneyball guy, but I like the teams that take guys with a bit more seasoning than some of the guys that the Union selected. The Union's first three picks are 18, 18, and 17 years old. And given how well Philly head coach Peter Nowak dealt with Freddy Adu in DC, it will be interesting to see how he deals with this young group of guys. But, I do like how Philly's new stadium is coming along. 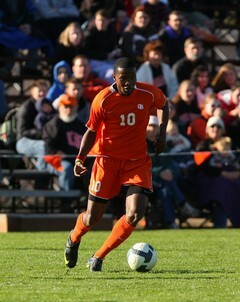 - Devo talked to Rhinos head coach Bob Lilley and we know at least 3 players that are currently under contract for 2010! We are scheduled to have Bob and assistant coach Bill Sedgewick on tomorrow's edition of Kick This!, so hopefully we can get some of the players that might be on his radar. - Inside Minnesota Soccer has a piece on NASL.com that is supposed to go live today. - Charleston has picked up a player on loan from Montreal in Pierre-Rudolph Mayard. - Kansas City denies shopping Jimmy Conrad. But if they were, NY would be interested. Why would KC move him? - Jozy Altidore talks about the earthquake in Haiti. - Preki and Thomas Dooley were elected to the US Soccer Hall of Fame. - MLS Talk has a preview of tomorrow's Everton-Man City game which is on FSC at 12:15pm featuring the home debut of some guy named Landon Donovan.